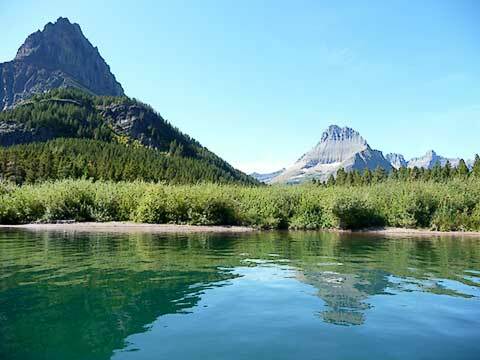 We decided that we would return to Swiftcurrent Lake with Nessie and explore the lake by kayak. The weather cooperated and we had a good drive over the Going to the Sun Highway. Because we wanted to have plenty of time for paddling, we couldn't stop at any of the great places on the Going to the Sun Highway. We quickly unloaded Nessie from the min van and headed out into the lake. We were pleased that there was no wind and enjoyed the views of the mountains from lake level. We didn't see any of the birds that we saw the day before. Maybe we were too early. Or the ducks figured that since the boat trips were over, the the bird season was too. We paddled around the lake for quite awhile. Stopped to have our lunch while enjoying the great view of the mountains. Then because the afternoon winds were picking up, we headed back to the launch area. 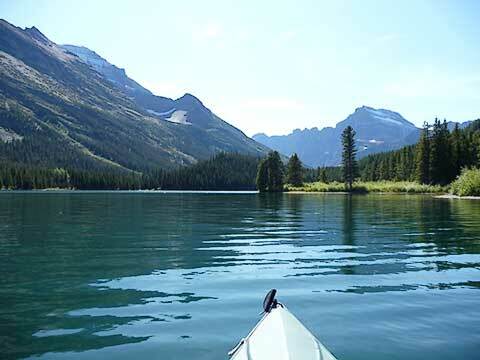 The afternoon winds on these mountain lakes can make paddling more of an adventure than we like. When we got back to the launch site, we met another group of kayakers who were getting off the lake too. 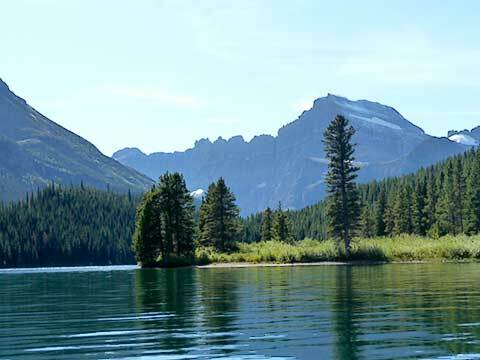 They had paddled up to the end of Swiftcurrent Lake and dragged their kayaks over into Lake Josephine--something we weren't up to doing with 80 pound Nessie. They said it was quite a portage. 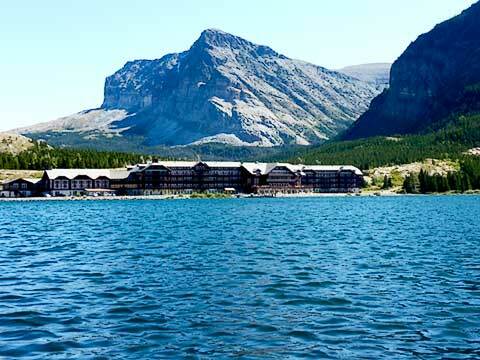 They were able to return to Swiftcurrent Lake via the creek that joins to the two lakes. It was getting late, so we headed back for our last trip over the Going to the Sun Highway.